If you're lucky enough to have picked up a Nexus 5 this week, you may be puzzled by two of the apps on your new phone. Not necessarily by the apps themselves, but rather the existence of both at once on one phone — Photos and Gallery. Two pre-installed apps that have many overlapping functions between them. You can tap either one to get to your photos, and in either case you'll have access to your automatically backed-up Google+ photos as well. 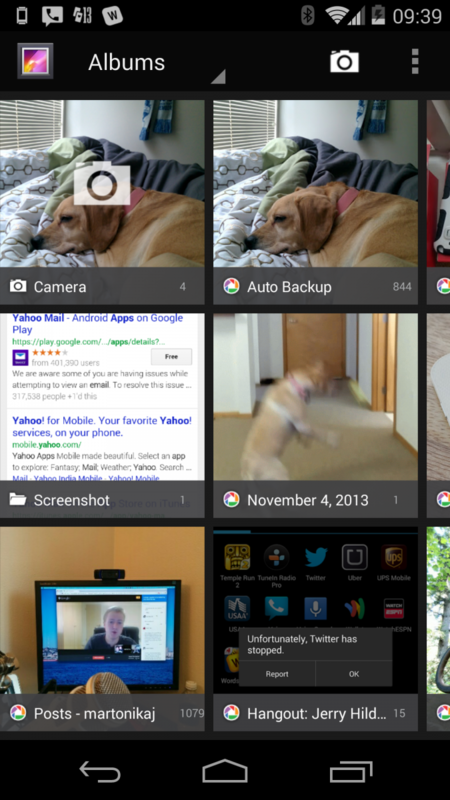 So why does the Nexus 5 have both a "traditional" Gallery app and this new Photos app at the same time? There are a few reasons. Let's dig into this somewhat bothersome phenomenon after the break. What are the differences between Gallery and Photos? As you would expect, Gallery and Photos duplicate most of each other's functionality. Both will give you access to local photos on your device, as well as let you see Google+ photos in both your Auto Backup folder and individual uploaded albums. Both will let you add filters, crop and frame photos, although the Gallery has a much more advanced photo editor built-in. 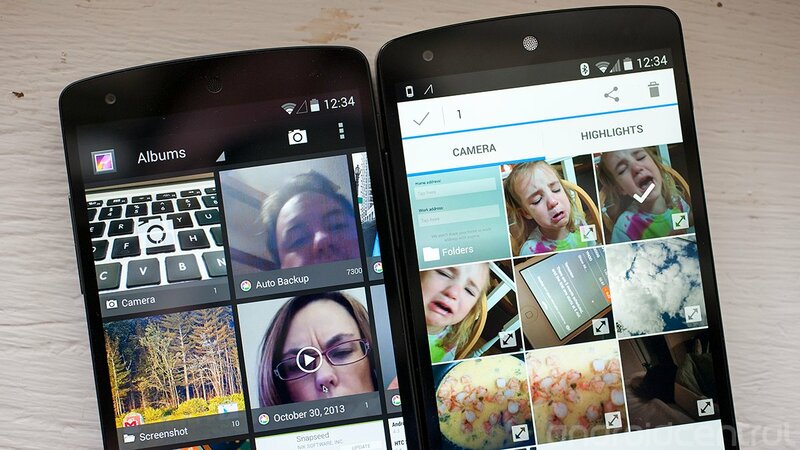 You can also share pictures from either one with standard Android sharing intents, just like any other app. The Photos app lets you view and actually manage your "Highlights" folder on Google+, as well as create Auto Awesome Videos right from in the app. You can only simply view Google+ photos in Gallery, and it is the only app directly integrated with the Camera — when you swipe left after taking a picture, you'll be using Gallery to view the photo. So why are both installed? Well, for a couple of reasons. First off, the standard Gallery app is part of the Android Open Source Project, meaning it is included by default in every build of Android. Google offers both the Camera (but not necessarily big features like HDR+ or Photosphere) and Gallery apps together as part of the default operating system when you pull it all down — some manufacturers choose to replace them with their own Gallery and Camera apps, and others leave it. Google has chosen to keep the Gallery app on the Nexus 5, even though it simultaneously updated the Google+ app along with the completely revamped Photos app. 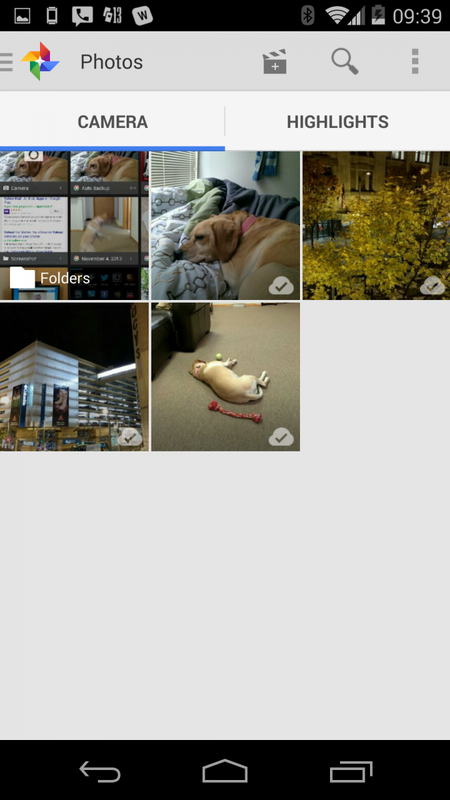 At this point the functionality of Photos simply doesn't match Gallery in terms of integration with Camera and its editing tools, and it's hard to get rid of Gallery as it is still part of the Camera app itself. For those manufacturers that choose not to use Google's apps or for those individuals who want to manage their photos without any Google+ integration, the Gallery app has to exist at this point. Further, the great parts of the Photos app aren't open-source like Gallery is, meaning that they wouldn't be distributed in AOSP when other manufacturers use Android. Here's where the fun frustration starts — it's kind of hard to use just one app and not the other. As we noted above, if you want to keep your Camera app installed, you'll have Gallery installed no matter what. Pictures that you take are instantly available in the Photos app, but the transition between Camera and Photos is more than the single swipe it takes to get to Gallery. Our recommendation is to stick with Gallery as your primarily picture and video handling app. 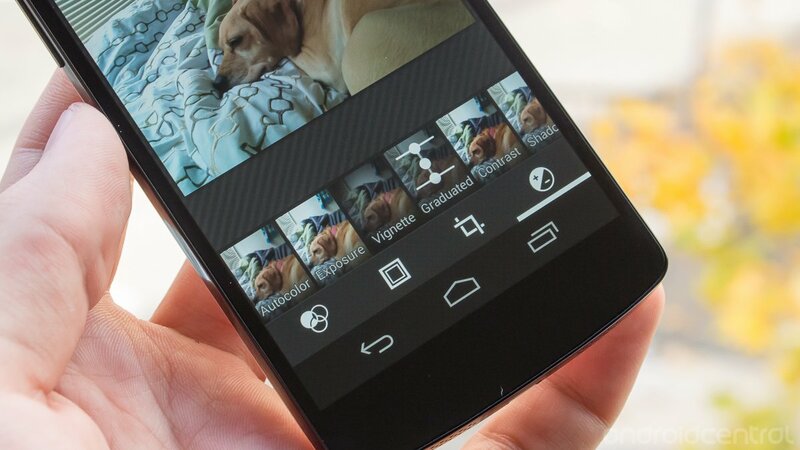 It is integrated with the Camera, handles your Google+ photos (including auto upload), has powerful editing tools and while it may not look as good as the new Photos app it is very functional. If you want to better manage your Google+ Highlights picture folder or create some Auto Awesome Videos, hop over to the Photos app and use it when you need those functions. It's far from ideal, and we sure hope that Google can pull things together and make them more integrated going forward. Whether that's a newly designed Gallery that better integrates with Google+ (if you choose) or a better way to handle a "default" photo-handling app, there is certainly some room for improvement here.